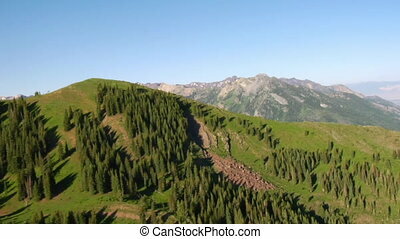 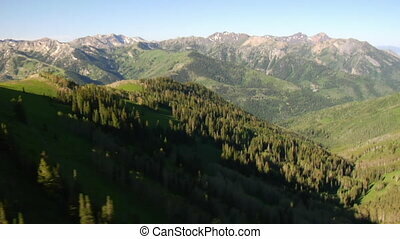 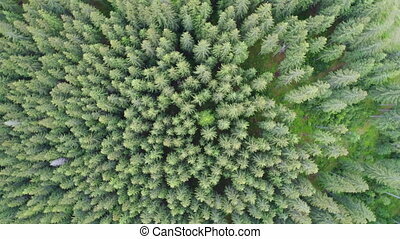 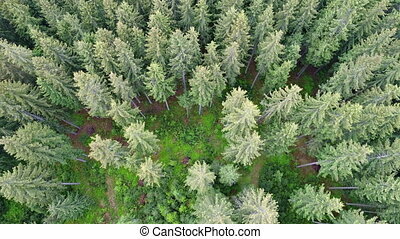 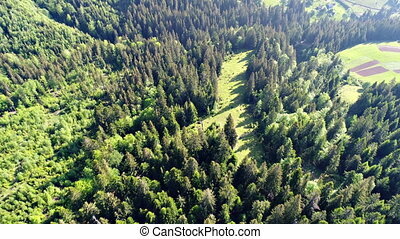 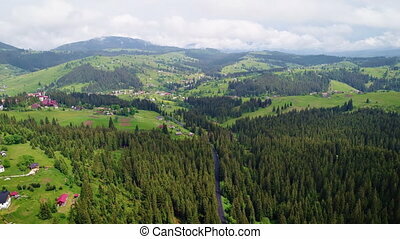 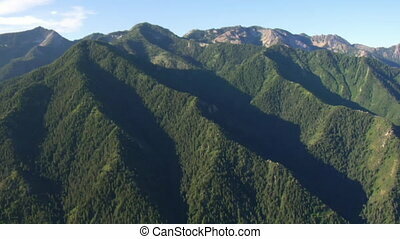 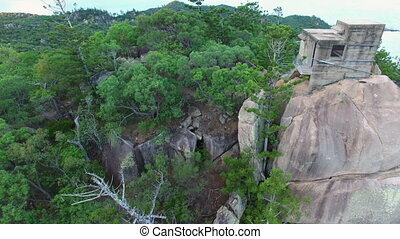 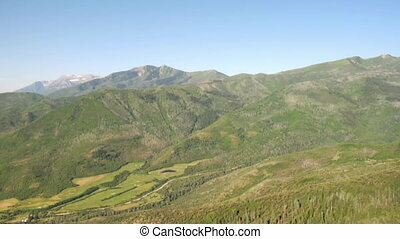 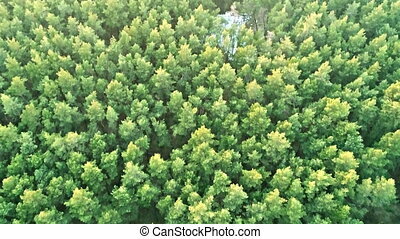 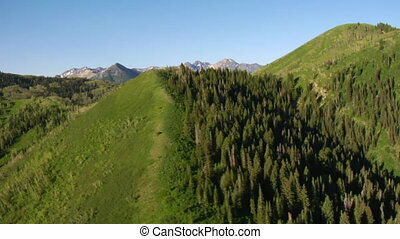 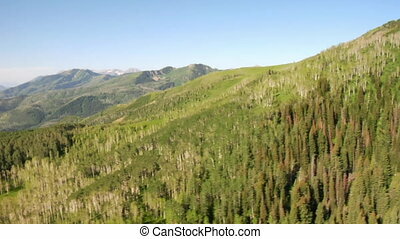 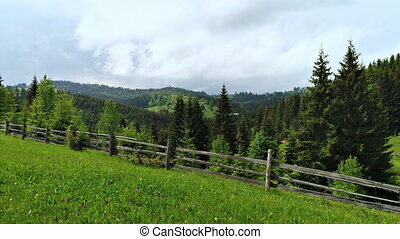 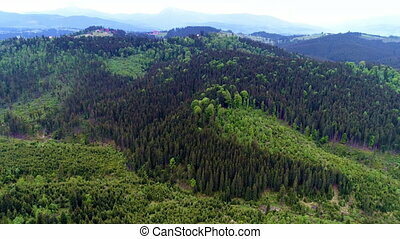 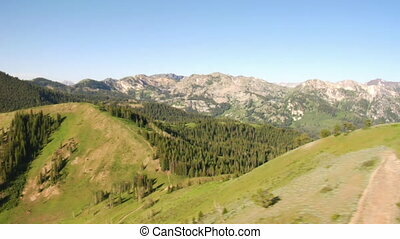 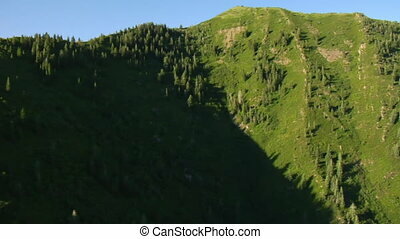 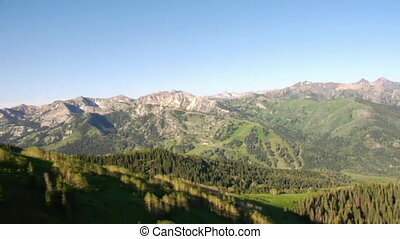 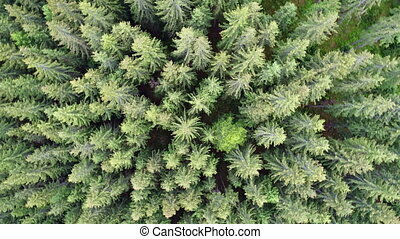 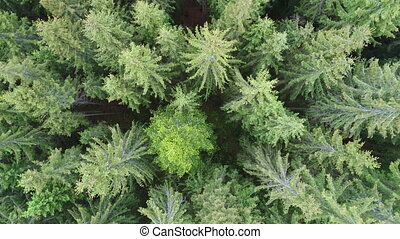 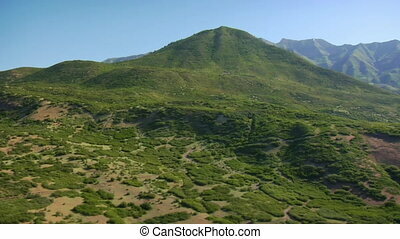 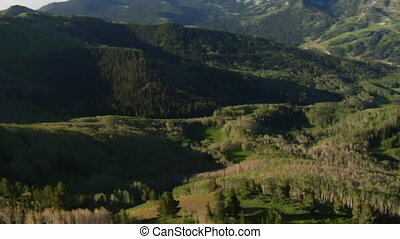 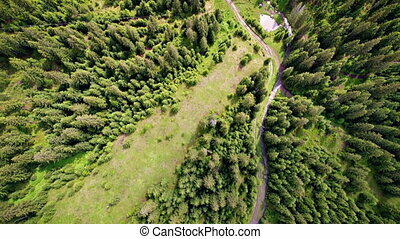 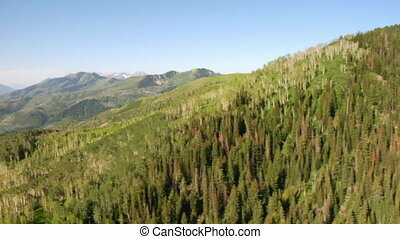 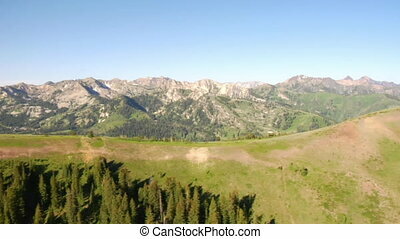 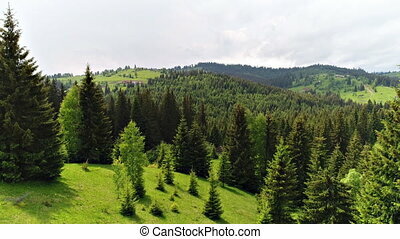 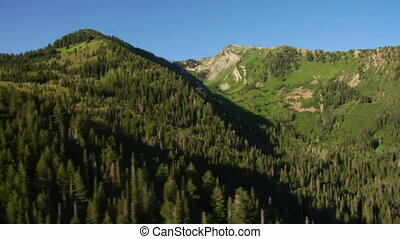 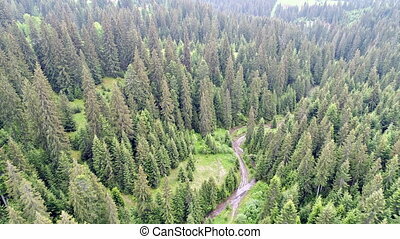 Aerial shot of green forest. 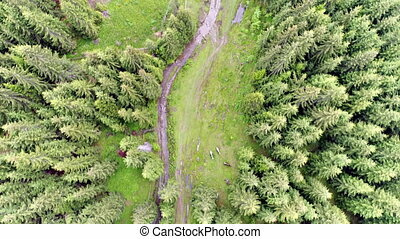 Aerial view of the village yablunytsia in carpatian mountains, landscape with a bird's eye view, drone camera. 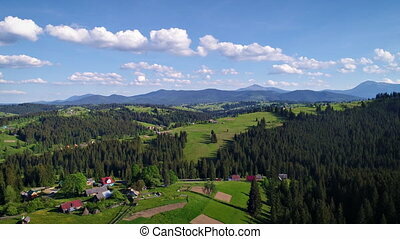 Aerial view of the village Yablunytsia in Carpatian mountains, landscape with a bird's eye view, drone camera. 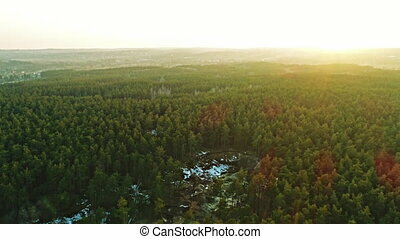 Aerial shot of natural resource, wood - Ukraine, Flying over of the sand, forest and lake.